She'll have a whale of a good time in the must-have mini rodini® Whale All Over Print Wing Dress. Super soft jersey dress boasts an A-line silhouette and an allover whale print. Round neckline with snap placket at the nape. 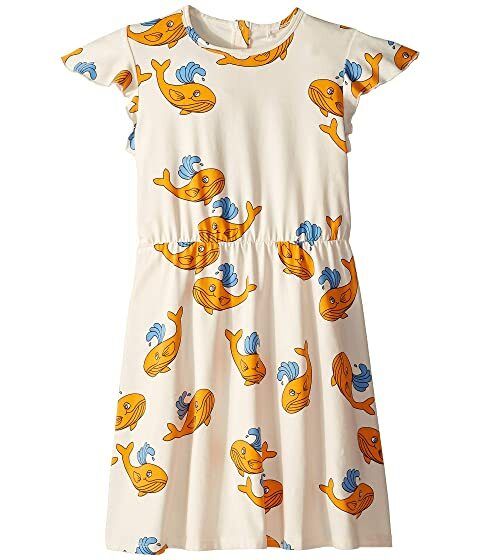 We can't currently find any similar items for the Whale All Over Print Wing Dress (Infant/Toddler/Little Kids/Big Kids) by mini rodini. Sorry!